There are many who aspire about how to become a police officer. It is a job which involves upholding and enforcing laws with the aim of preserving peace and stability in society. Police officers go through extensive training to meet the many demands of the job.The requirements for what it takes to become a police officer often vary from state to state. As such, it is important to do adequate research into the requirements of your particular state or city when beginning the application process. Listed below are the general steps involved in becoming a police officer. Applicant must be a citizen of the United States or a Permanent Resident eligible for citizenship. Most police departments require candidates to have at least a high school diploma or GED. Although there is no express requirement for higher education, increased competitiveness may lead to individuals needing something to set them apart and give them an edge in the application process. For this reason, candidates may decide to pursue an associate or bachelor’s degree in criminal justice or a related field. A certain amount of real world experience is also very helpful. Military experience is particularly desirable. Candidates are expected to have certain skills such as good communication, interpersonal, problem-solving skills, etc. These are helpful assets. Work experience shows your employer that you’ve been in a situation where you were required to use these skills. Written exam – this is the Civil Service exam or an exam modeled after the format of that exam. Questions vary depending upon where the department is located and are intended to test communication, problem solving, math, and deductive reasoning skills. Physical Exam – your fitness levels are tested to determine whether you are in shape or not. Depending on your age and gender, you will be required to perform up to a particular standard in order to qualify for further consideration. Drug Test – blood and urine tests are taken to ensure you are clear of any traces of illegal drugs or that you don’t have any drug dependencies. Psychological Evaluation – Candidates physiological states are very important due to the fact that police work is highly stressful. This test is carried out to determine whether or not you can deal with stresses and pressures. Health Assessment–You must have a clean bill of health. A health care practitioner will assess your vital organs, your eyesight, and your hearing to ensure that all is in order. Background Check – to ensure you are of sound moral character, the police department will carry out an extensive background check to make sure that all the information you have provided is accurate and checks out. Interview– an interview is conducted with the board and other members of the police force. At the interview, the department will attempt to determine whether you’re a good fit for the team. Once you have cleared the application process, you will receive a formal invitation to commence your training at a police academy. Training at the police academy is very demanding and can last from anywhere between 3 to 6 months. Cadets will undergo physical, hands on, and classroom instruction. 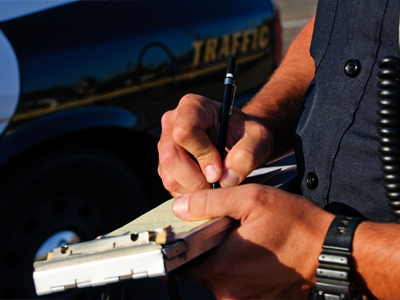 Within the field of law enforcement, there is a lot of potential for career advancement. This however, totally depends on the individual and their performance. For this reason, it is important to carry out all your work and tasks exceptionally well, and maintain good relations with other members of the police force. After a certain period of period and time, you will be eligible to take advancement exams or you may be recommended for a promotion based on your performance. Becoming a police officer requires tremendous amount of determination as the process is often long and demanding. Candidates are required to maintain a clean record and be upstanding citizens in order to even be considered. From this point on, candidates can expect to go through extensive and strenuous training in order to meet all the various demands of the job. Police officers typically hold a high school diploma or a college degree. However, all police officers are graduates of their department’s training academy. Many police officers are also military veterans with extensive experience in weapon handling. If you want to become a police officers after graduating from college then consider majoring in criminal justice or a related major. If you want to become a police officer after graduating from high school or college then consider taking courses in sciences, foreign language, law and criminal justice. Knowledge of a foreign language is an asset in many federal agencies and geographical regions. Q: What are the education requirements that need to be met for someone aspiring to become a police officer? Ans: Most police departments require prospective candidates to have at least a high school diploma or GED before applying to become a police officer. However, due to the competitive nature of this profession, more and more police departments are requiring candidates to have an associate’s degree or a bachelor’s degree in criminal justice or a related field. This will give them a competitive edge over other applicants. Q: During the application process, what happens during the interview? Ans: Once a candidate has made it through most of the application process, there is an interview that is conducted. This interview is carried out by the board as well as other members of the police force. The purpose of the interview is to determine whether or not a particular candidate is a good fit for this profession. To learn more, please check our page.